Arctic Cat introduces their new Prowler 1000 XTZ Baja Edition. Ride into your dealer. 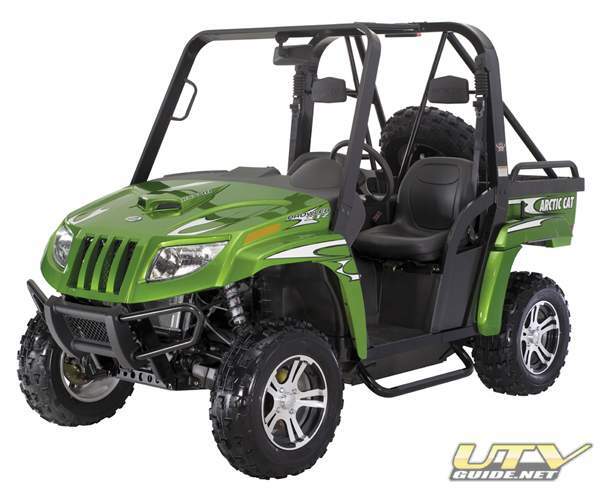 Ride out on the same machine that won first place at the Baja 1000: The Prowler XTZ 1000 Baja. With stylish and durable Arctic Cat Green Metallic Automotive style paint, this beast is just as dominating to look at as it is to ride. And speaking of riding it, you’ll love the front cargo space, bumper, spare tire with Baja box bars, monotube gas-charged shocks, and the rip-roarin’ 951cc engine. Arctic Cat Inc., based in Thief River Falls, Minn., designs, engineers, manufactures and markets all-terrain vehicles (ATVs) and snowmobiles under the Arctic Cat® brand name, as well as related parts, garments and accessories. Its common stock is traded on the NASDAQ National Market under the ticker symbol “ACAT.” More information about Arctic Cat and its products is available on the Internet at www.arcticcat.com.